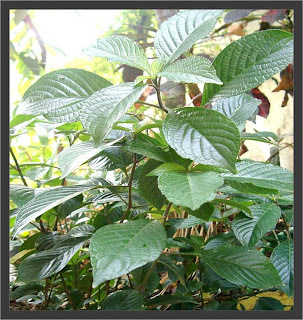 Medical plant Ngokilo (Stachytarpheta mutabilis) is a type of plant that trunked wet and quick like a grass-trunked upright. In Java the plant is widely available in rural areas that grows as a shrub. Stem diameter between 0.2 - 0.7 cm. Outer skin purple with green spots and when parents turn brown. Ngokilo leaves oval, serrated at the edges by a distance somewhat rare, delicate almost invisible. Long strands of leaves (no stems) ranged between 5-8 cm (normal size) and width of leaves about 2-5 cm. These herbs are easy to breed in fertile soil, somewhat sheltered, and in the open. Chemical content on ngokilo hitherto unknown, because there is no scientific research. Based on experience, it turns out medicinal plants.